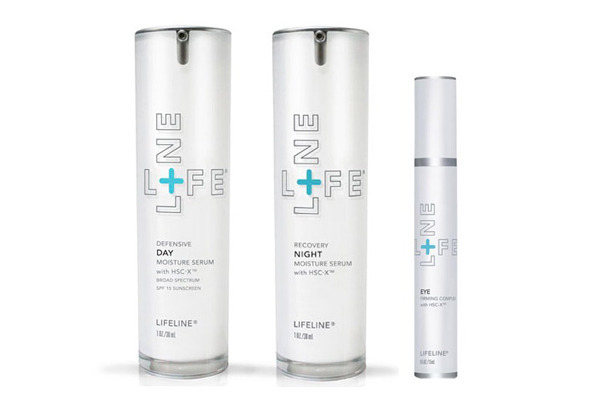 Lifeline is the only skin care with advanced small molecule technology and powerful peptides extracted from non-embryonic human stem cells, fused with nutrients to help smooth, hydrate, and lift with lasting results. While researching cures for diabetes and Parkinson’s Disease, a team of biotech scientists discovered a powerful human stem cell extract that improved the look of aging skin. This discovery has created a new era in anti-aging skin care products. Lifeline continues to build on that stem cell success, using advanced absorption technology to deliver specialized ingredients more effectively through their expanded skin care line. Lifelines founding team of scientists discovered a new class of stem cells that promise to change healthcare — and skin care. They created the first non-embryonic human stem cells. These cells can proliferate and live almost indefinitely. And with this discovery, stem cell cures for incurable diseases — like Parkinson’s Disease, liver disease, and blindness — now look promising. Lifelines unique patented process creates human stem cell extracts from unfertilized eggs, rather than embryos. Lifeline parent company, International Stem Cell Corporation (ISCO) is the only source for these ground-breaking stem cell skin serums. ISCO is also the only company dedicated to maintaining a pro-life position with stem cell research and regenerative therapies. No embryos are destroyed in ISCO’s stem cell research. Human Stem Cell Extracts — Because only human cells have the ability to communicate with each other using various types of signals, an ability that no plant stem cell has. This cell-to-cell communication can instruct neighboring cells to create new cells to repair damaged tissue. Non-Embryonic Stem Cell Extracts — Because these are the most potent stem cells that are active early in life. Adult stem cells aren’t as potent.